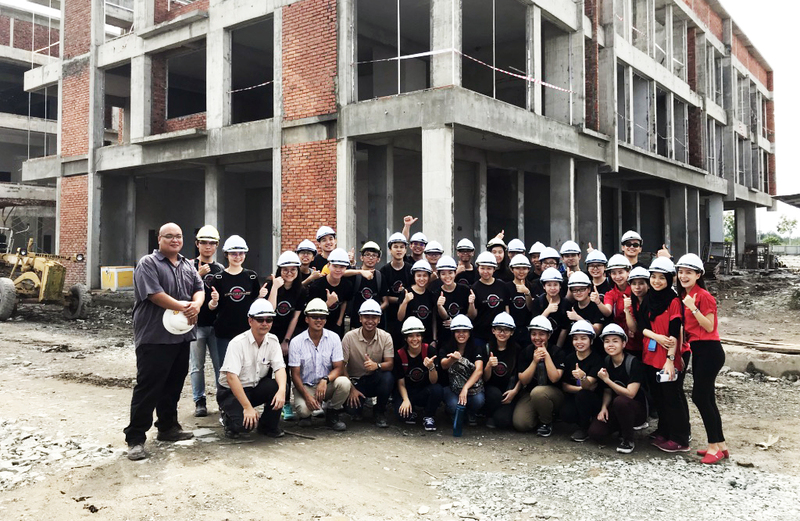 30 December 2017, KUCHING: Final year Quantity Surveying students of Executive College made a site visit to Ibraco Berhad’s project in the city recently. The visit was organised with the aim to blend the students’ learning process and to expose them to substructure and superstructure works at construction site. “It also allowed the students to have better understanding of construction techniques applied in the local construction industry,”said the college in a press statement on Thursday. During the visit, students were guided and assisted by the site team through the designated route. Ibraco project manager Gerald Tan and site engineer Muhammad Fazrul explained to students the construction of commercial buildings and their soho (small office home office) units. The students had the opportunity to see the construction works; how cement and sand are used in the commercial units and casting of concrete work. They were also briefed on the process of fixing timber door frames and finishes for the buildings, and also other works such as basic concrete structures of beams, columns, slabs and staircases. The students were also able to identify the various timber formworks used at the construction site. They were also exposed to actual site work conditions, facilities such as site office and the different types of construction plants such as scaffolding, concrete plants, excavator, loaders, and etc. Executive College offers 100 per cent job priority to its graduates, whereby graduates can apply for jobs offered by KTS Group of Companies, and their application will be given priority. The next intake for Diploma in Quantity Surveying is April 23, 2018. The college, situated on the second floor of Crown Square, No 88 Jalan Pending, Kuching, opens from 8am to 5pm on Monday to Friday. For more information on courses offered and activities at the college, visit www.ecollege.edu.my or call 082-345680.